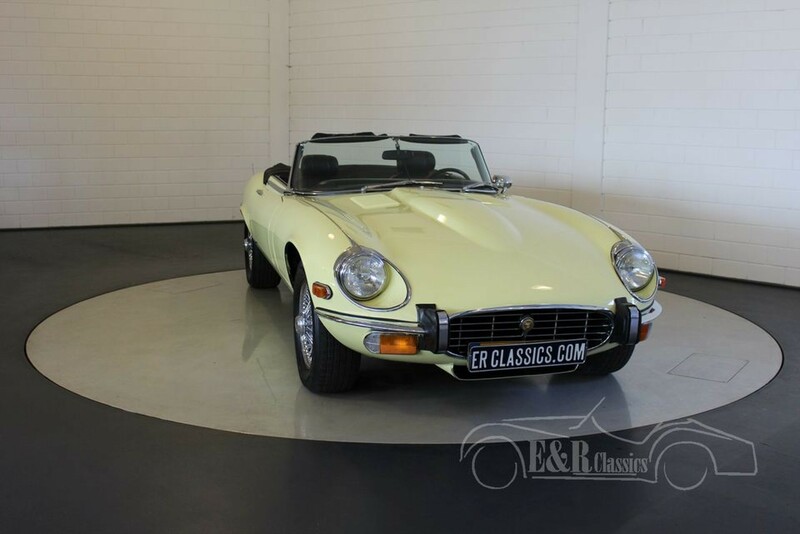 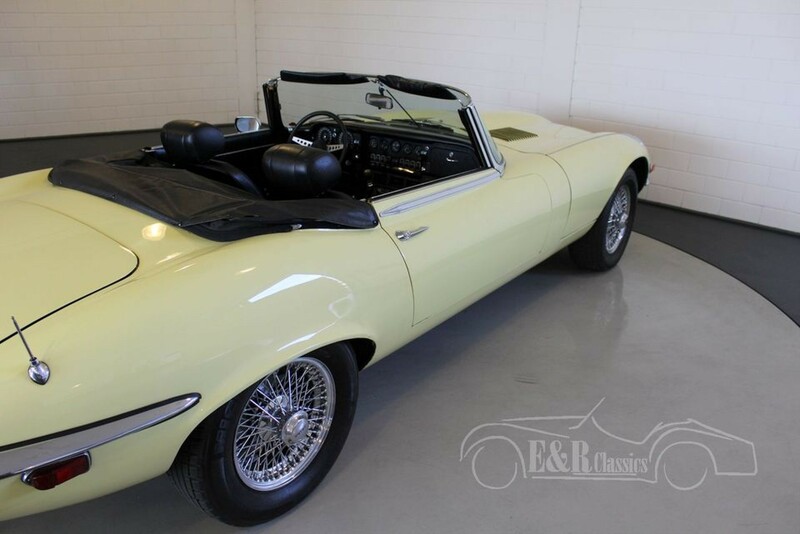 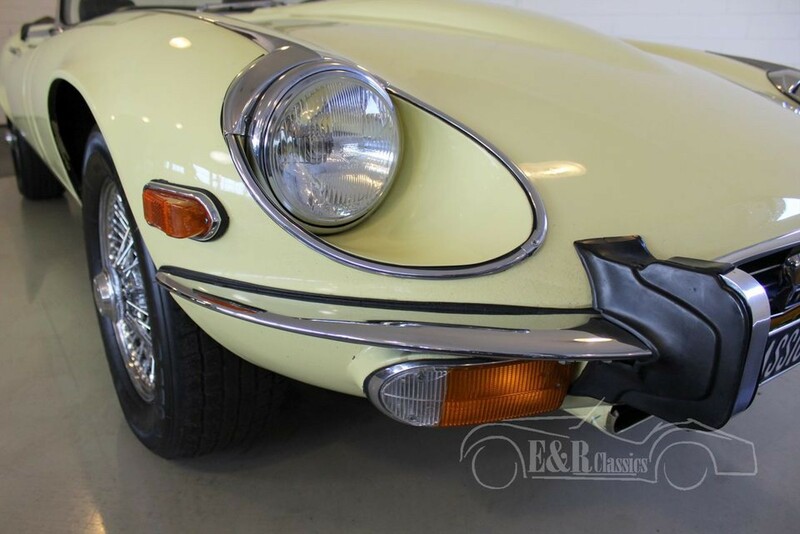 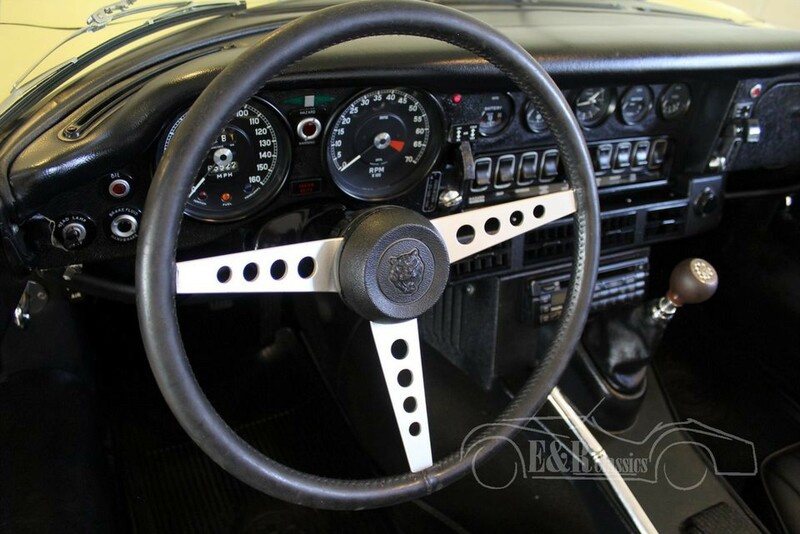 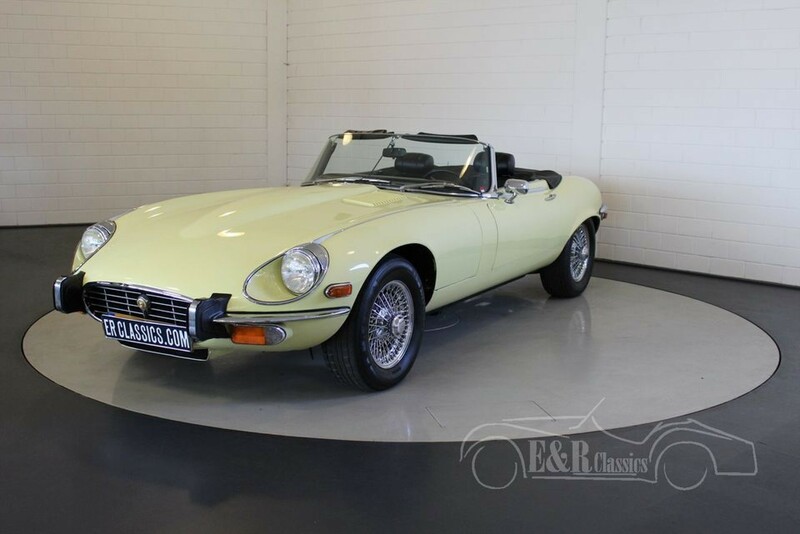 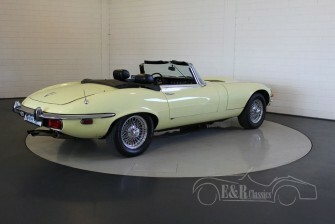 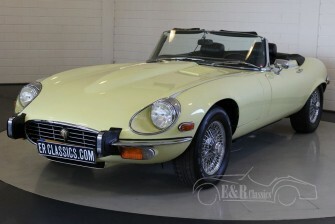 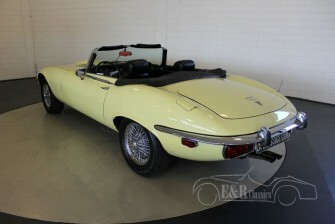 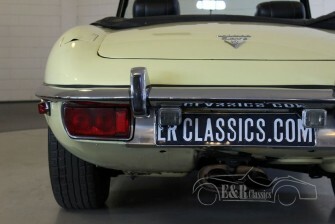 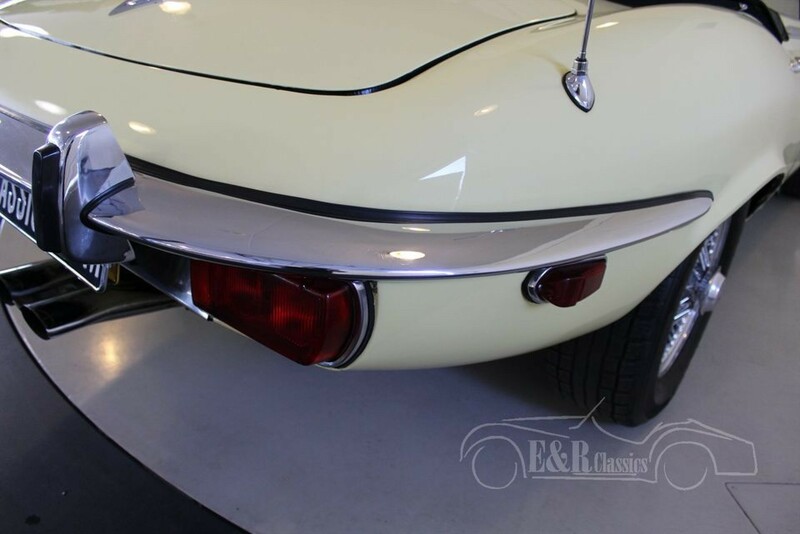 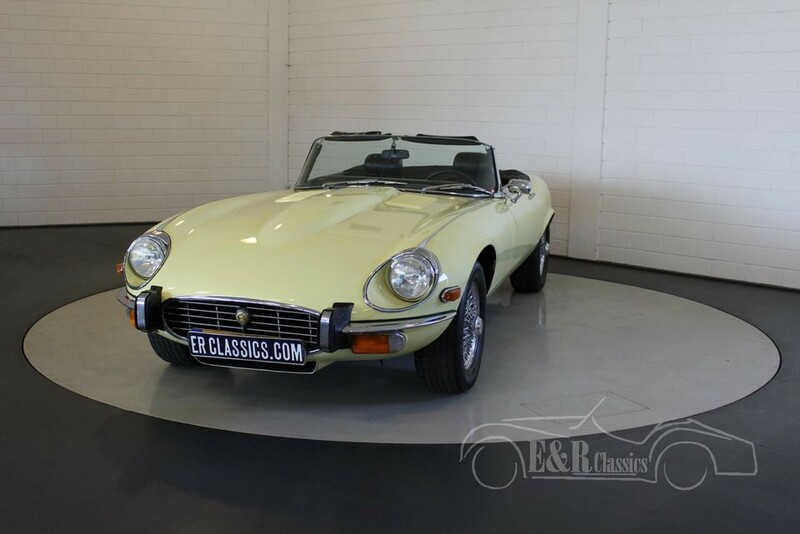 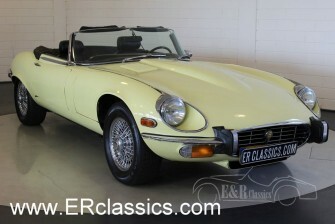 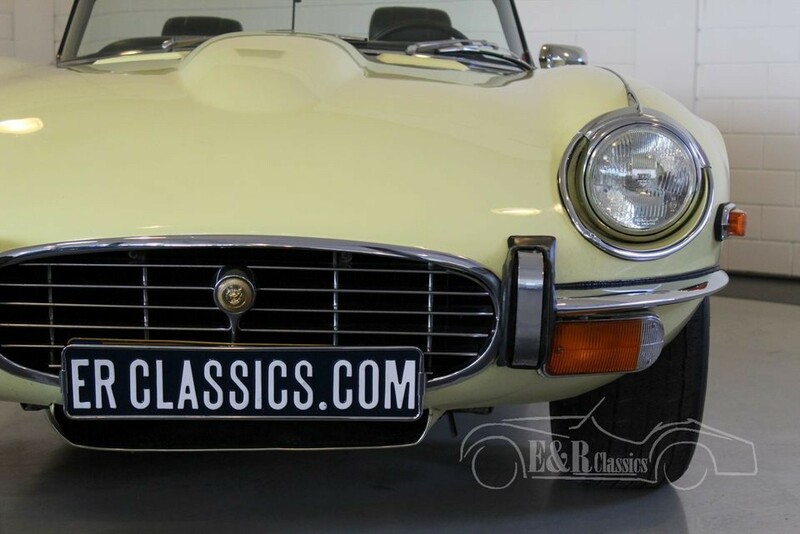 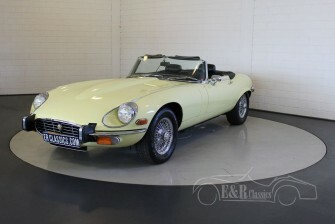 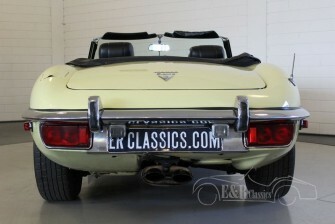 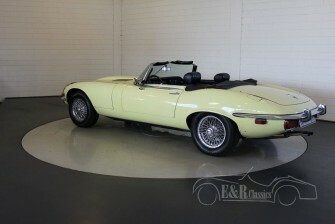 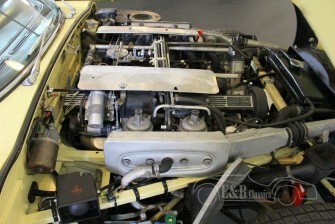 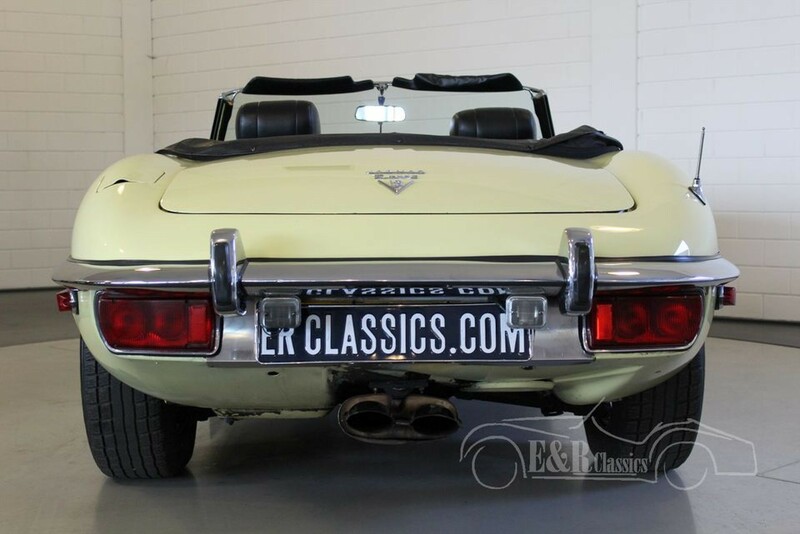 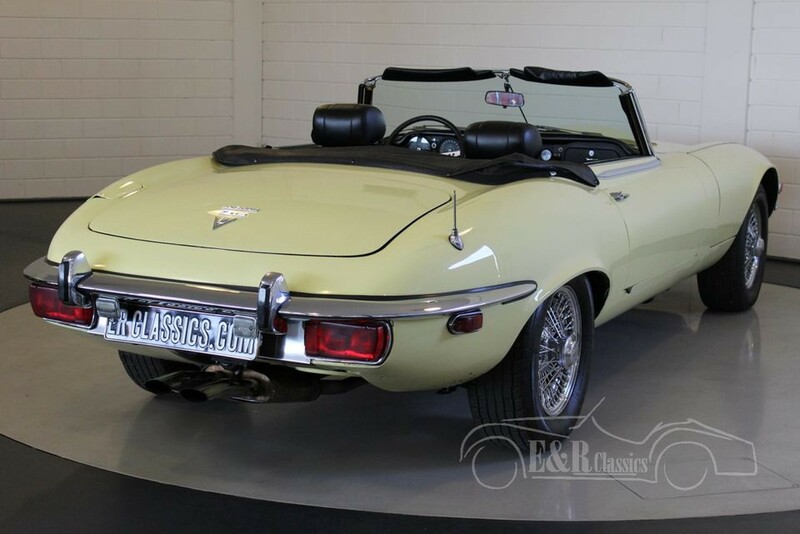 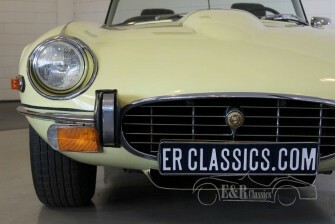 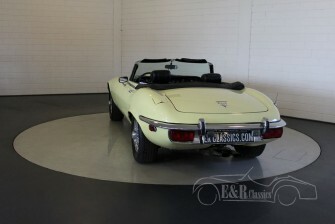 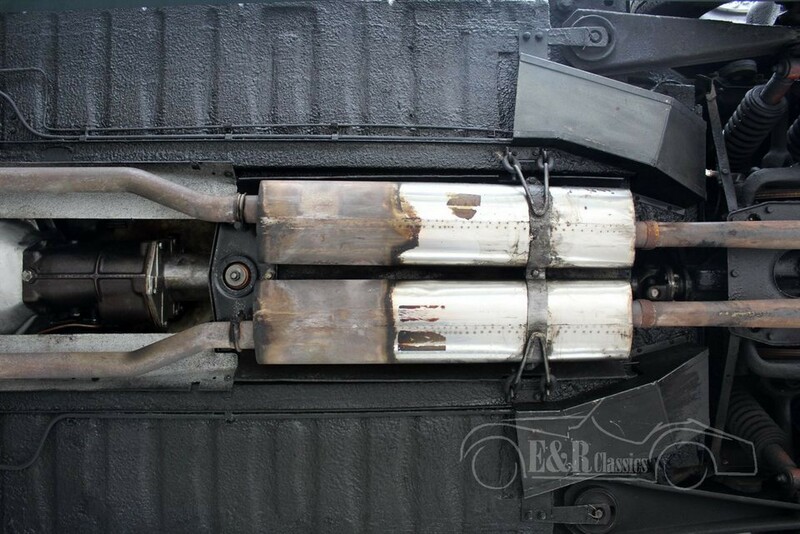 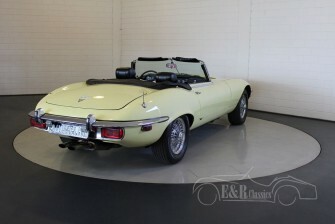 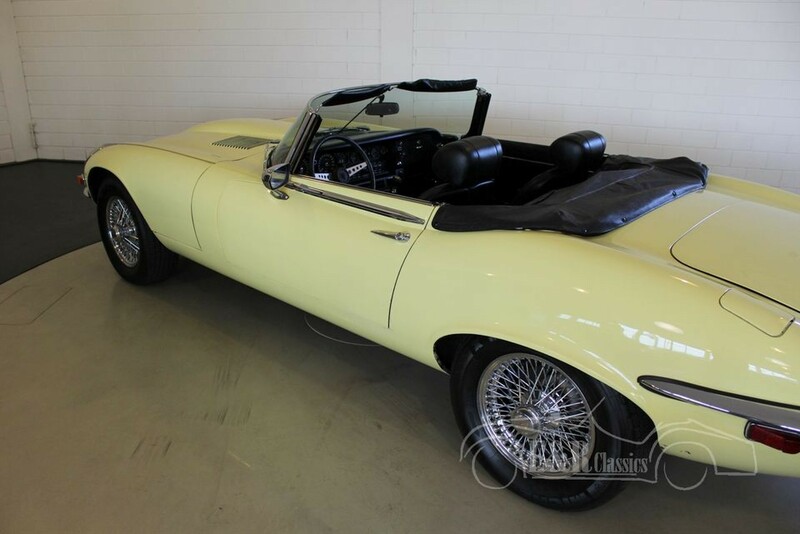 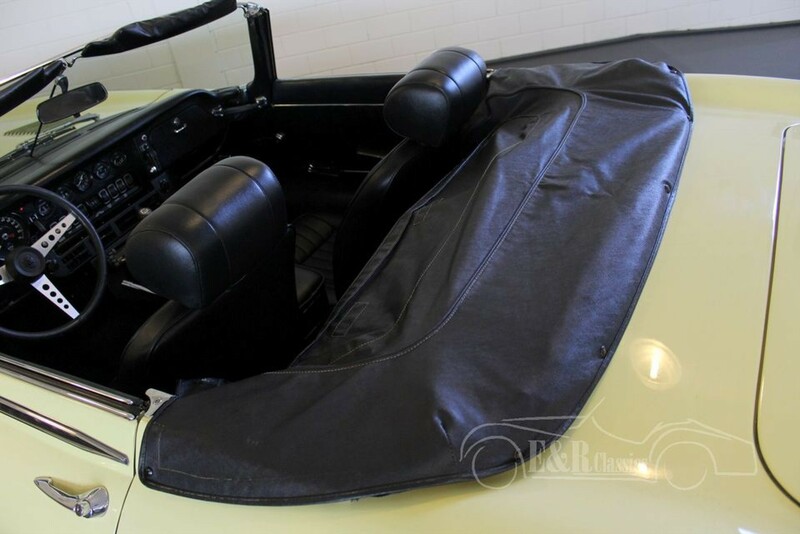 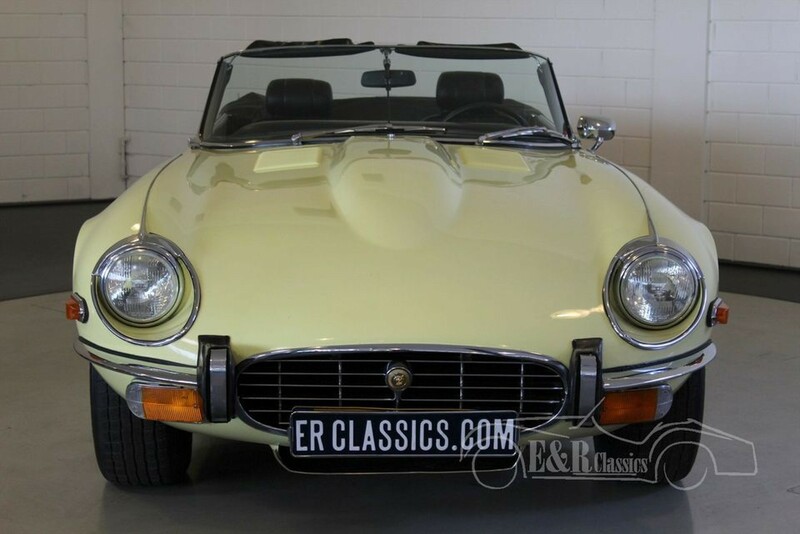 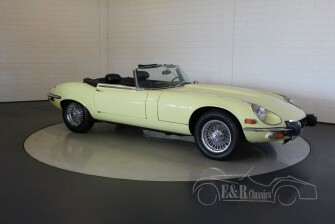 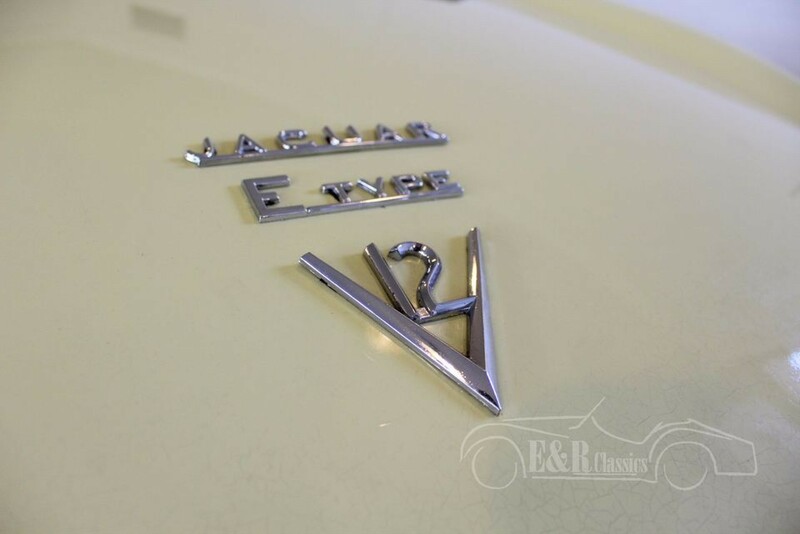 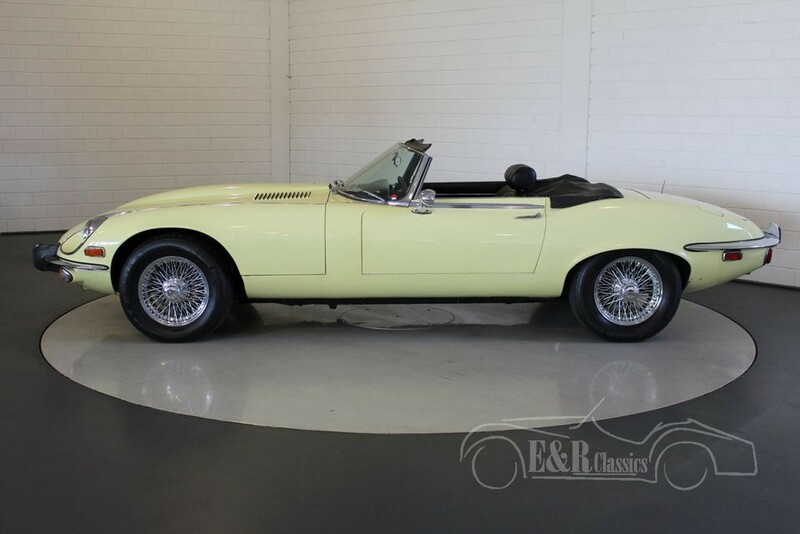 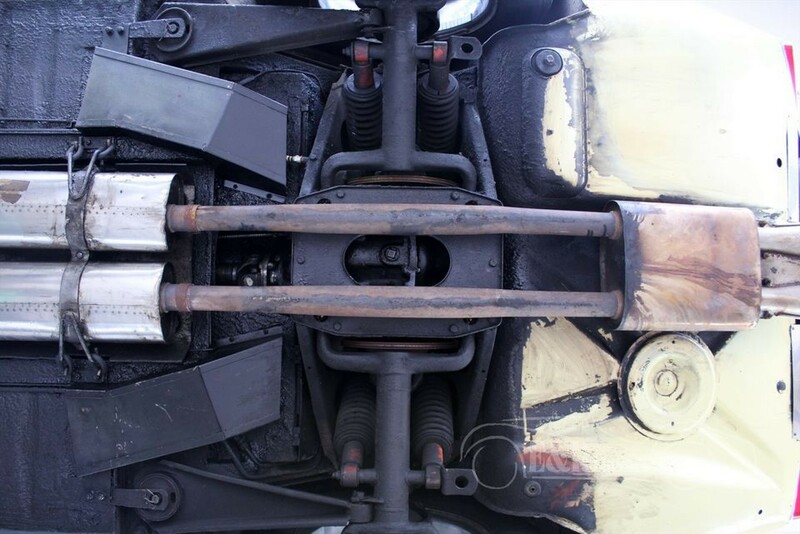 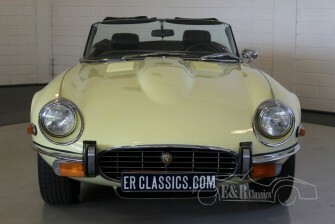 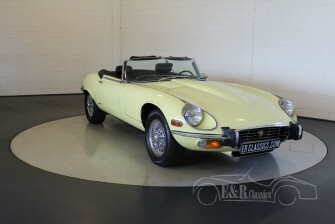 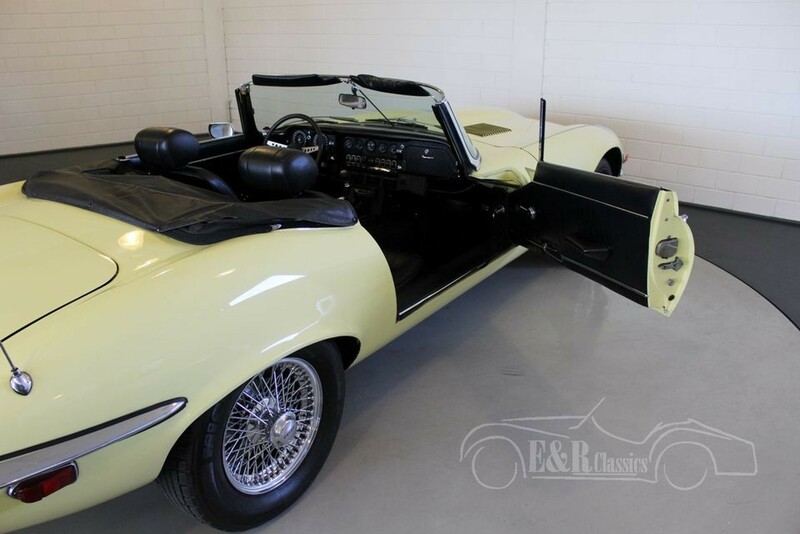 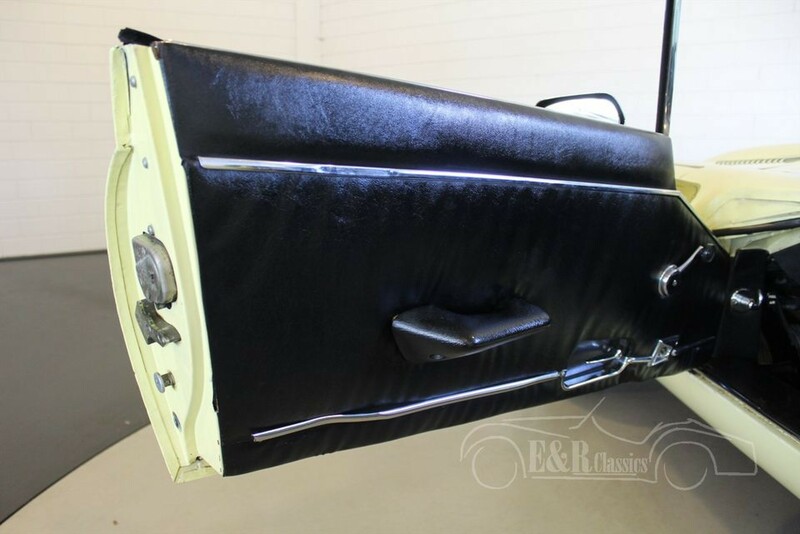 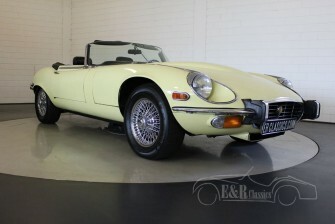 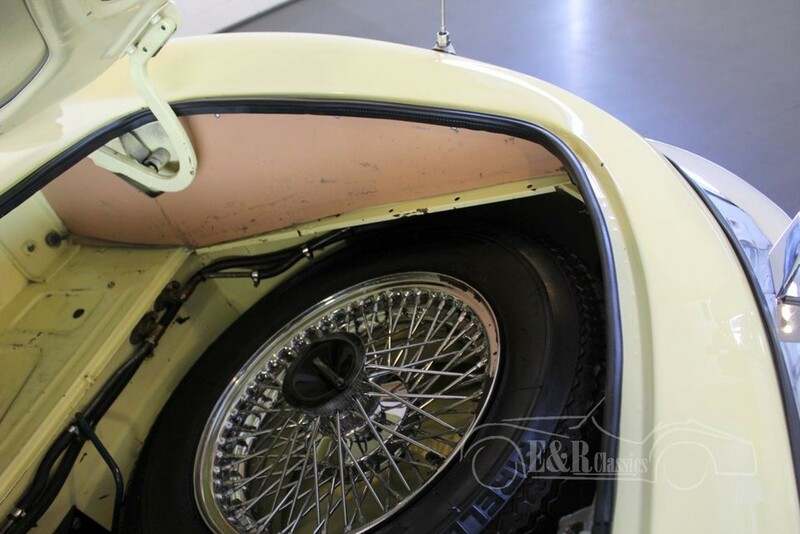 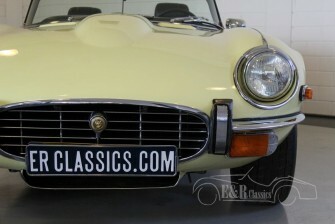 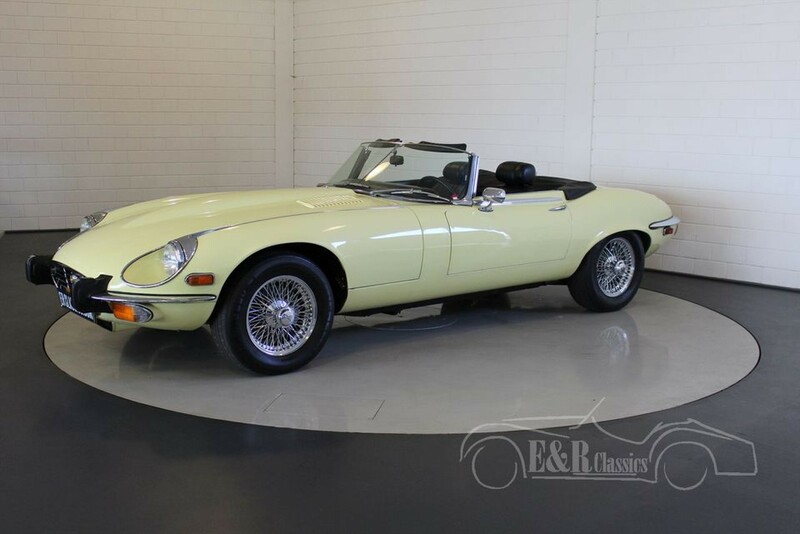 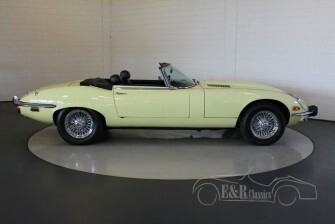 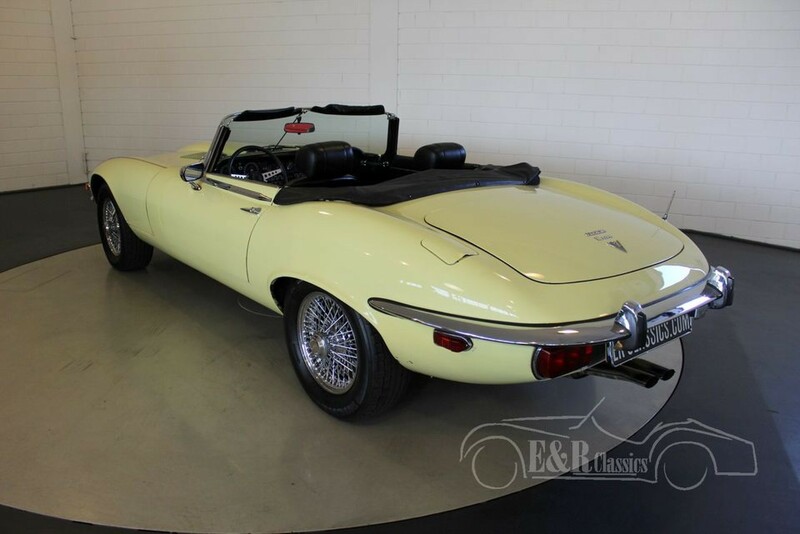 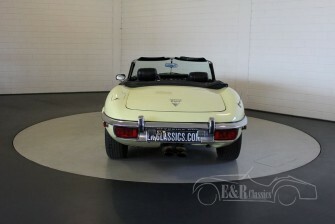 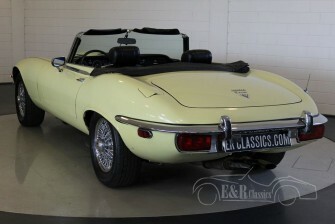 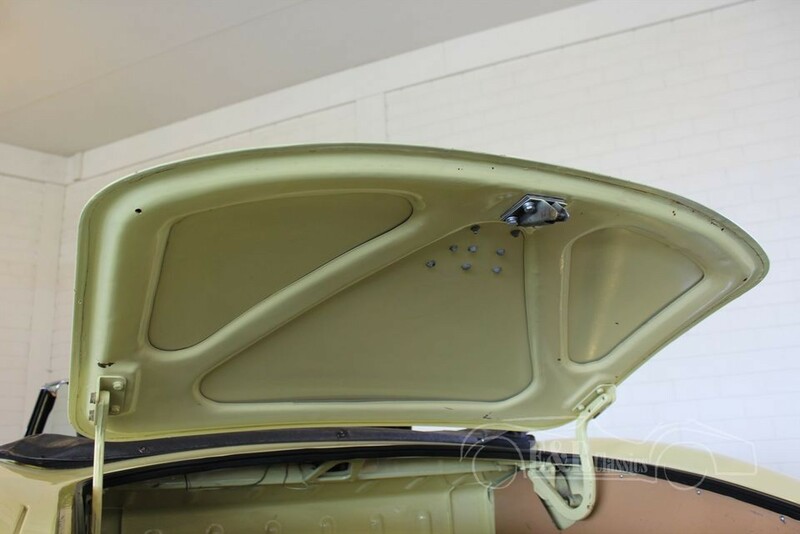 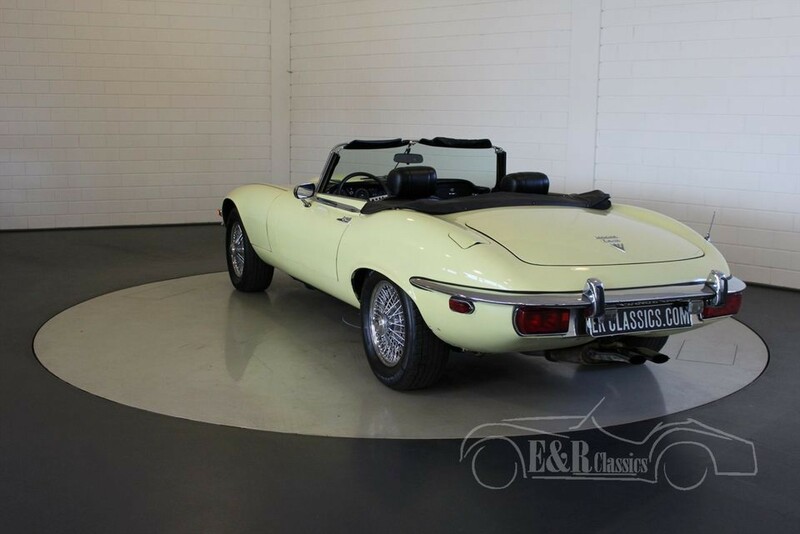 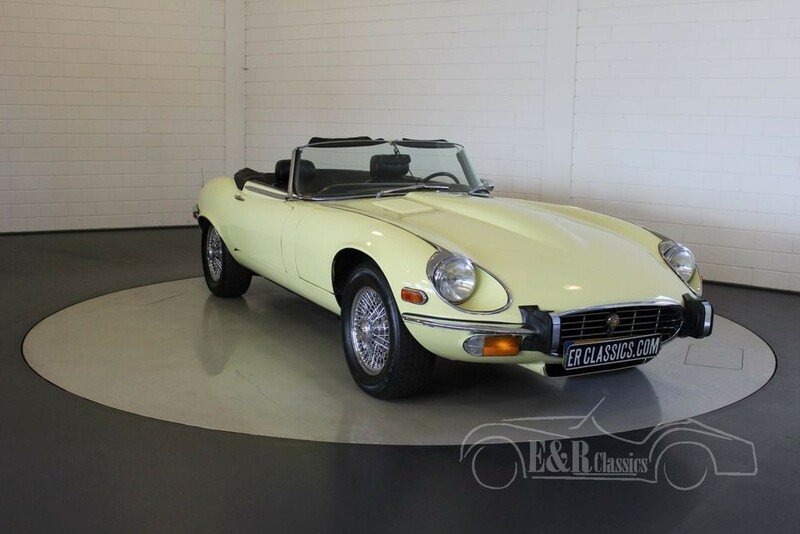 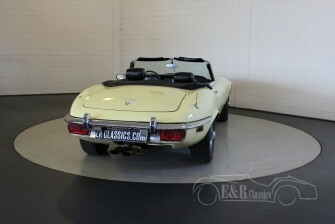 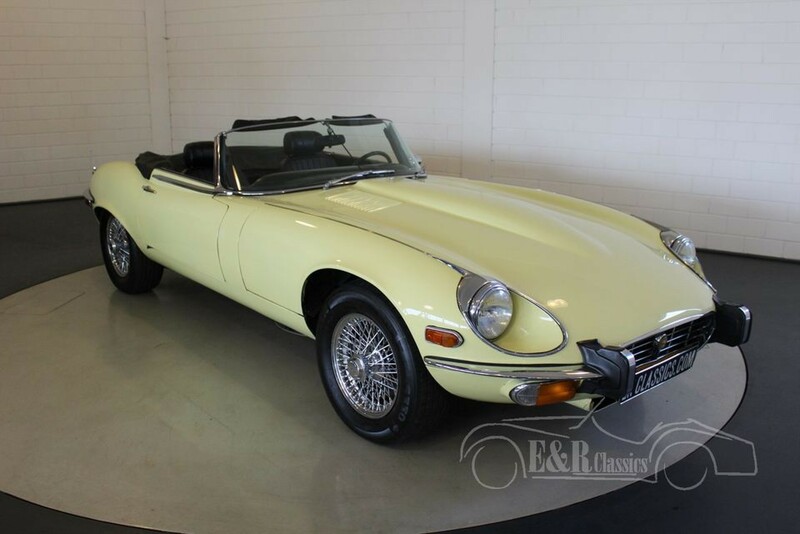 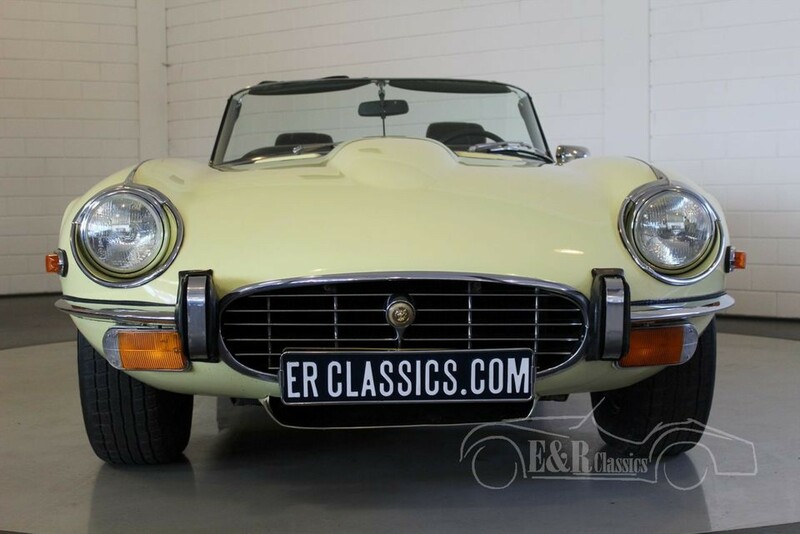 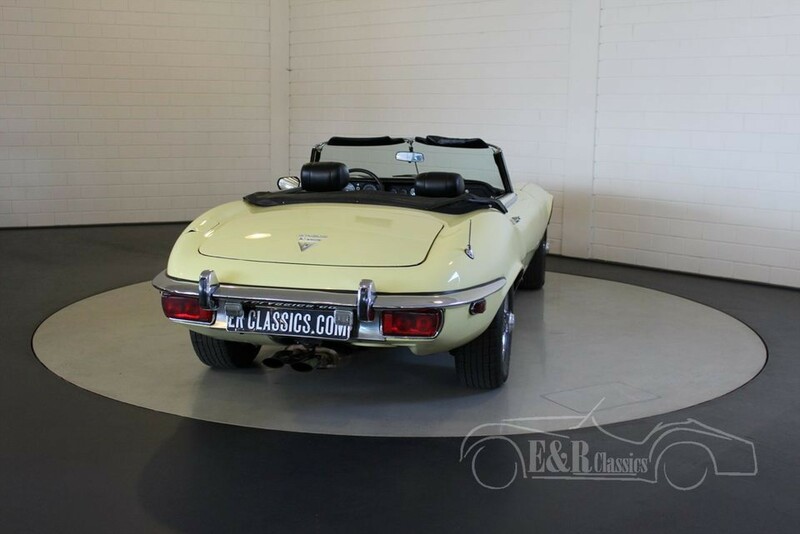 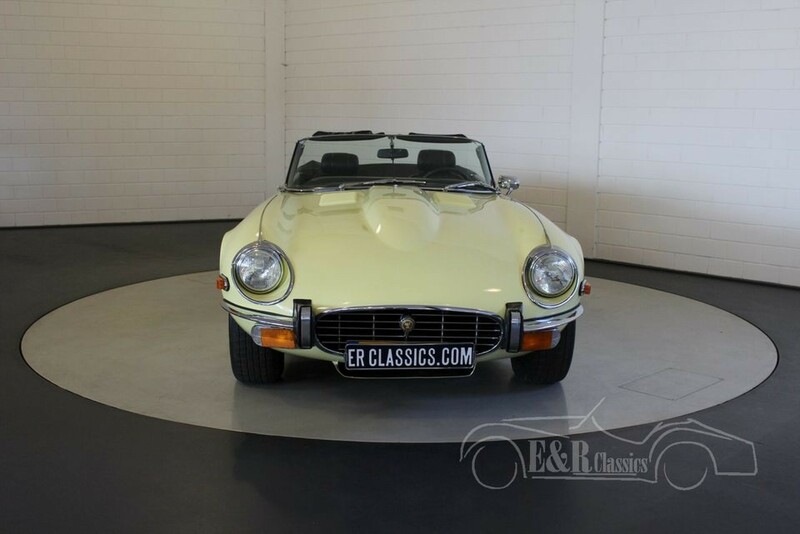 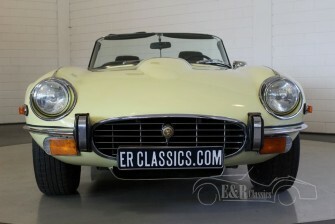 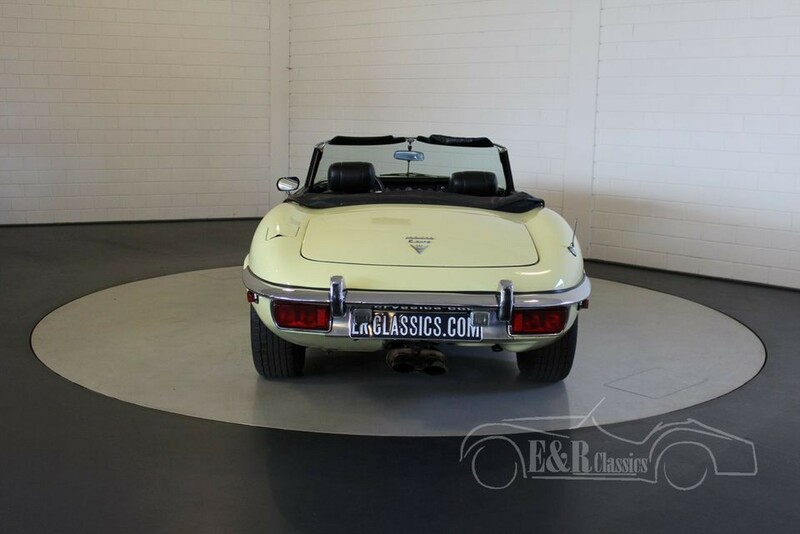 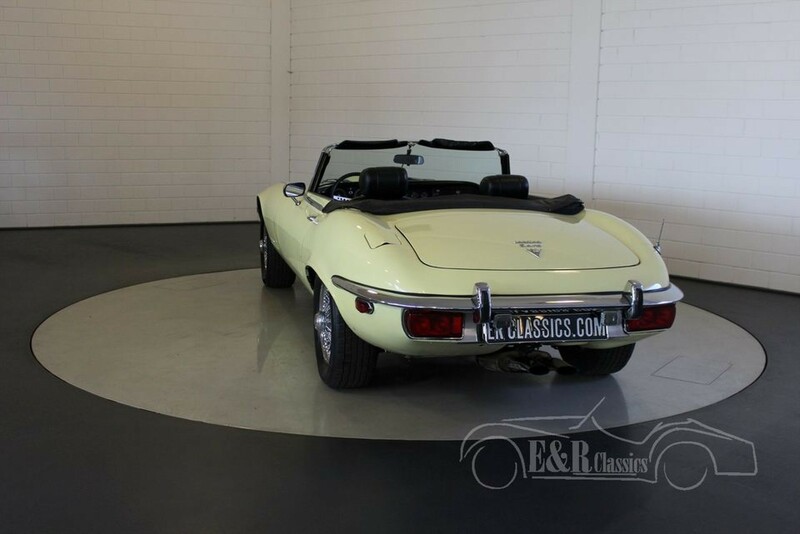 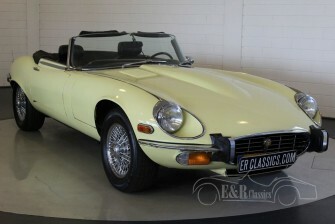 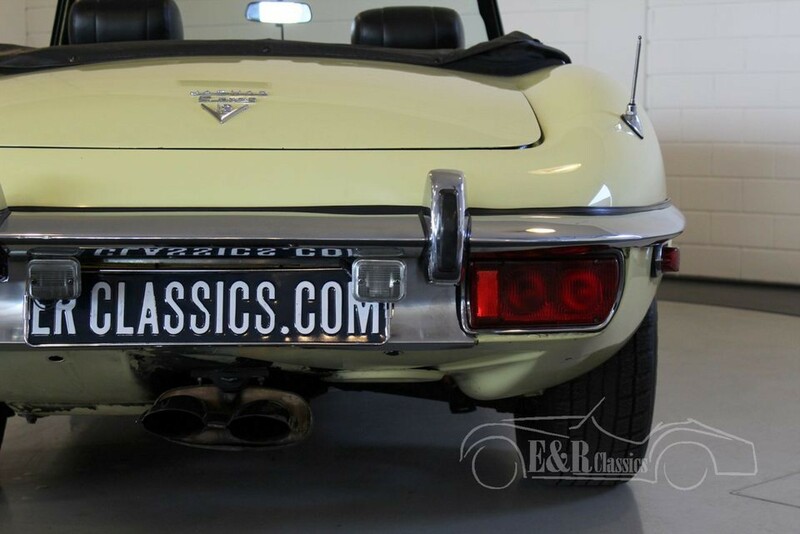 This Jaguar E-Type Series 3 Roadster was delivered on the 10th of july 1973. 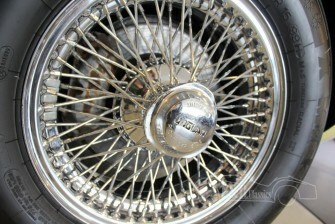 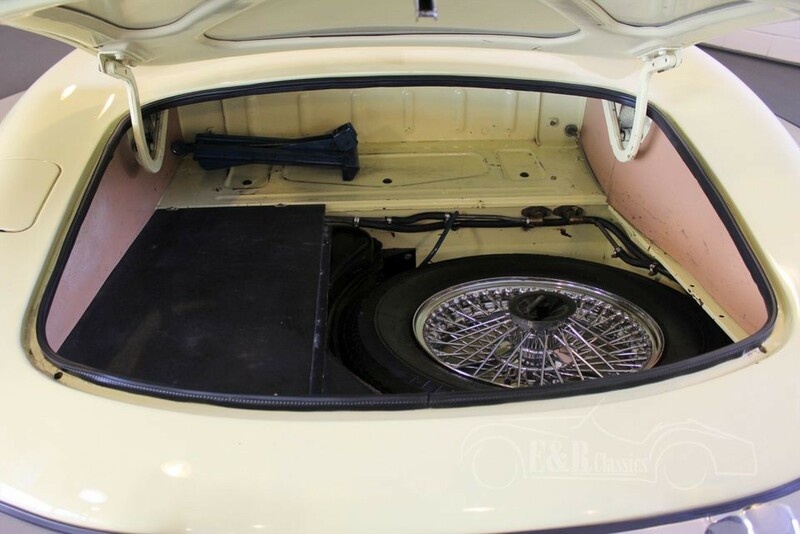 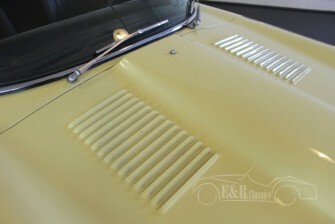 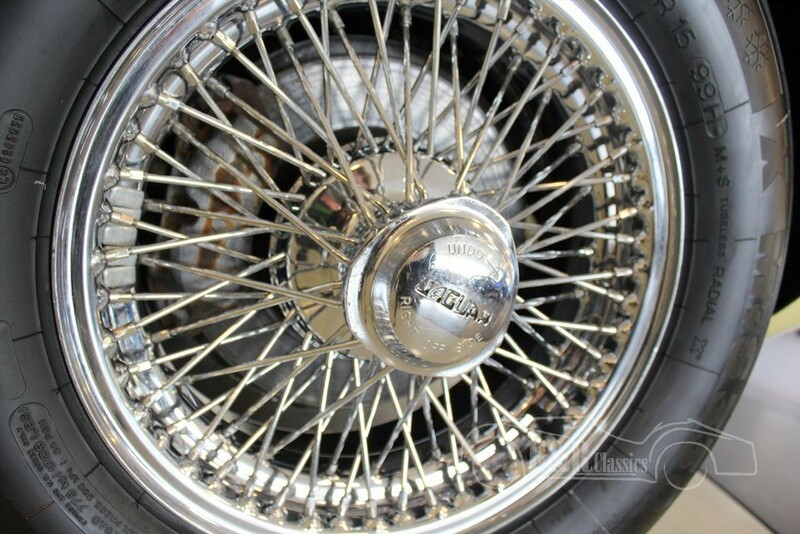 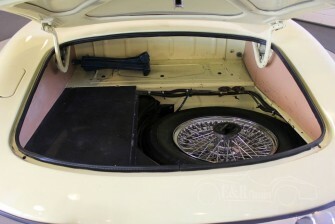 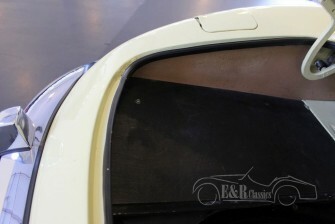 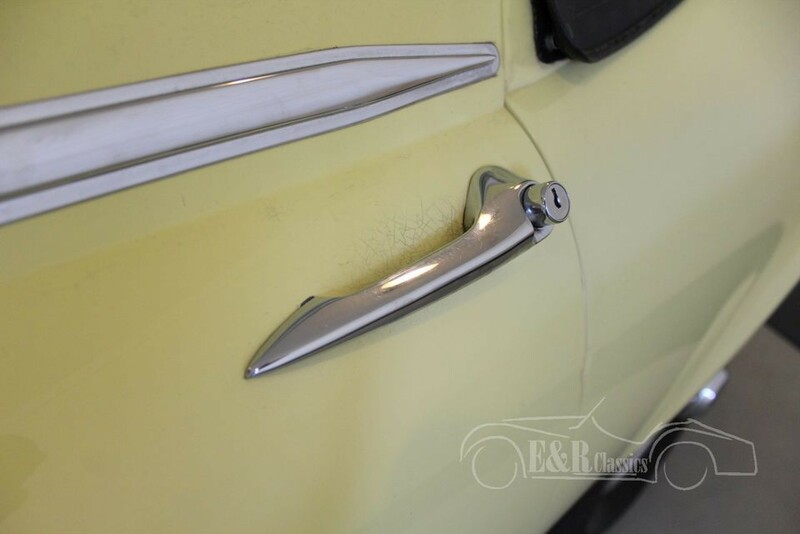 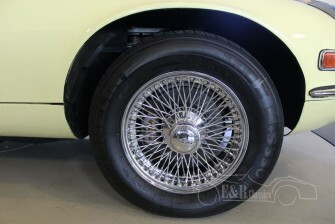 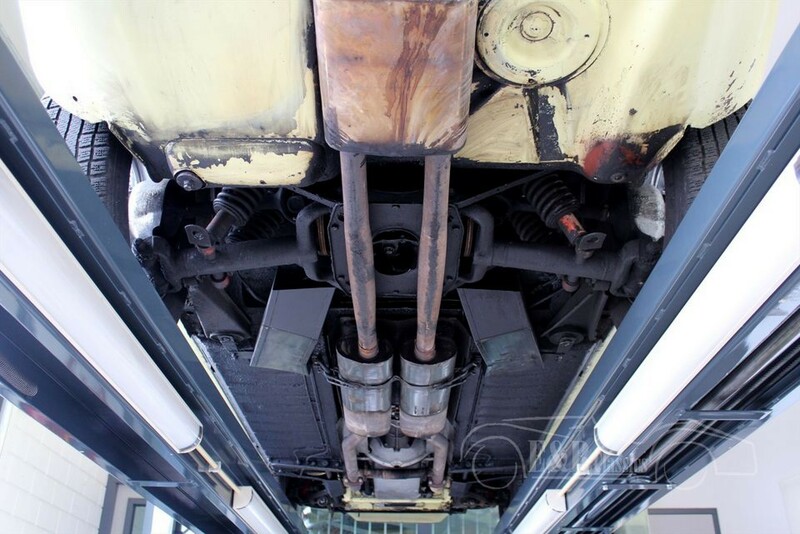 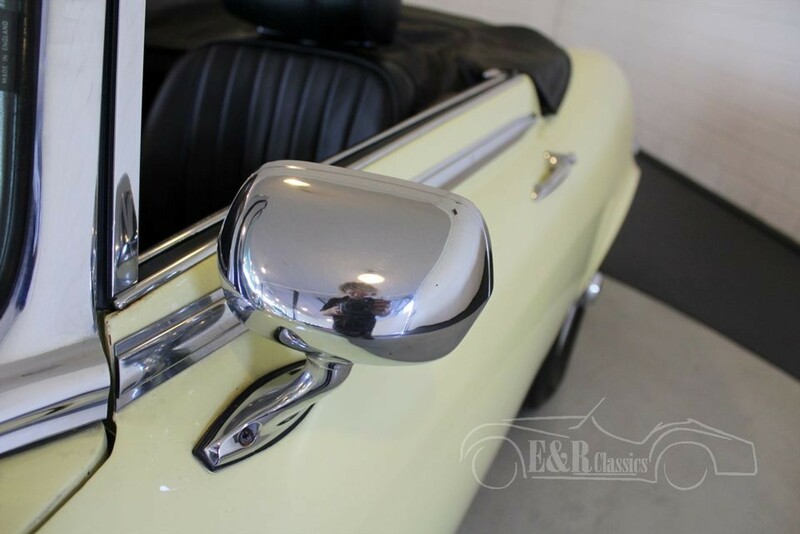 The car was delivered with Pale Primrose Yellow paint and chrome wire wheels. 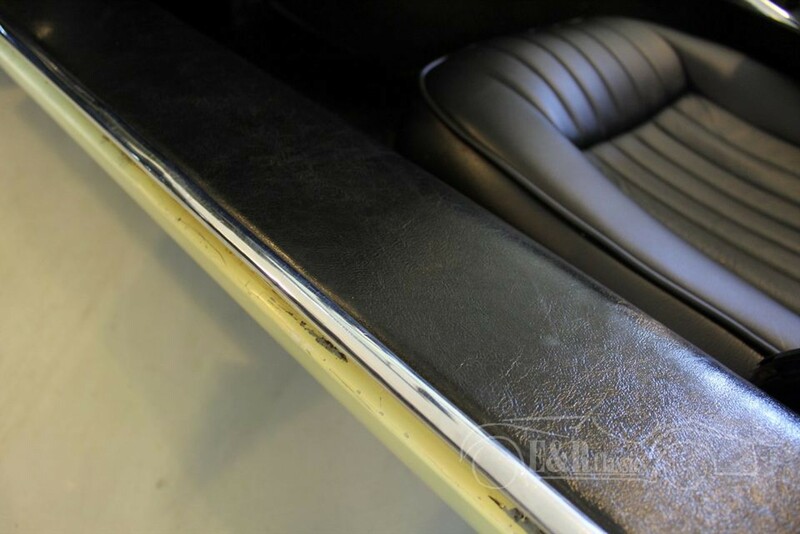 The paint shows patina. 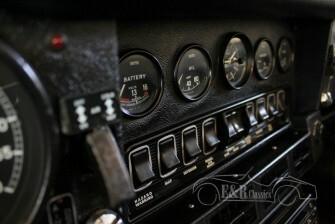 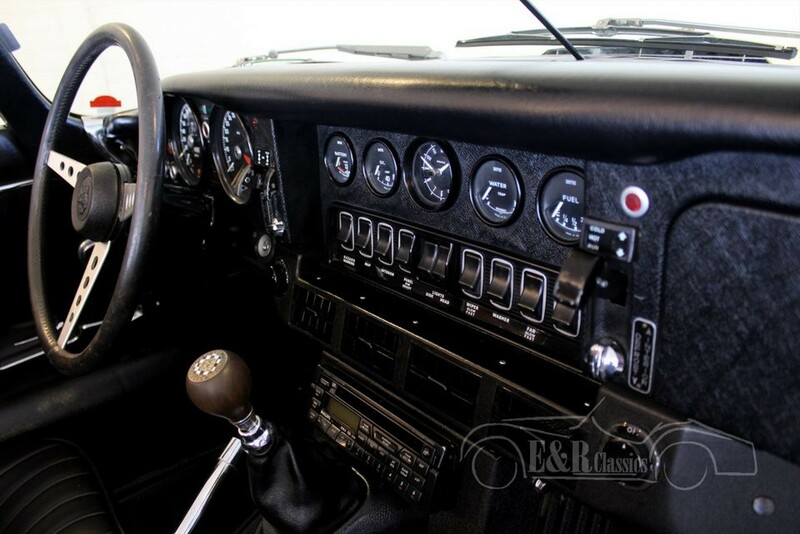 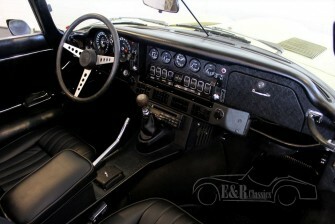 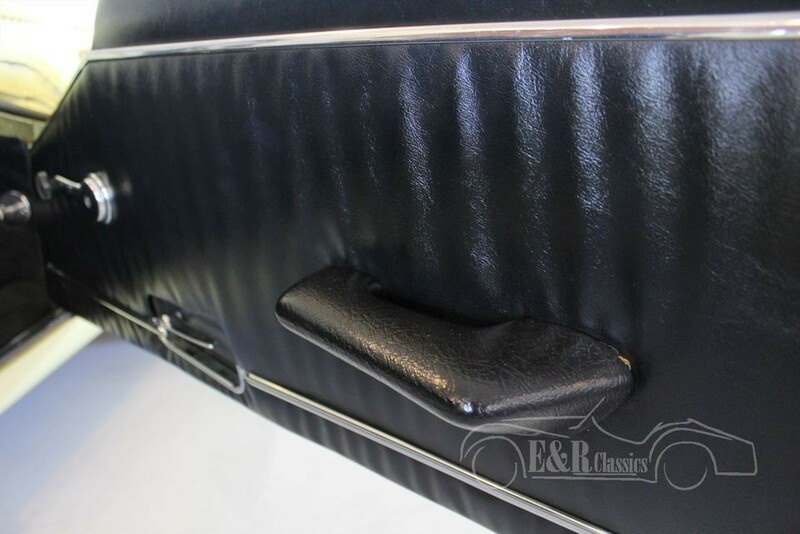 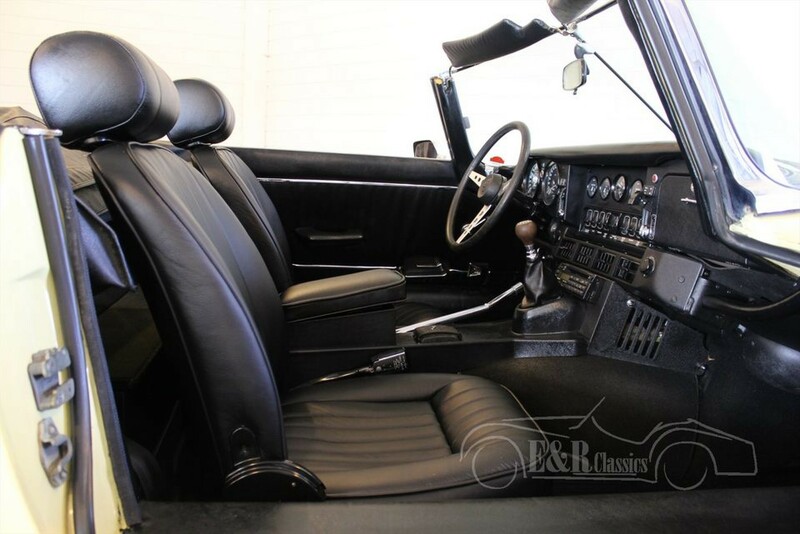 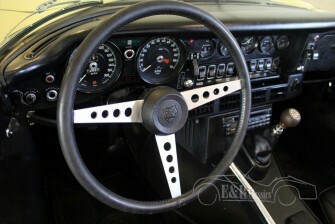 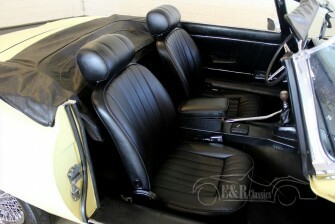 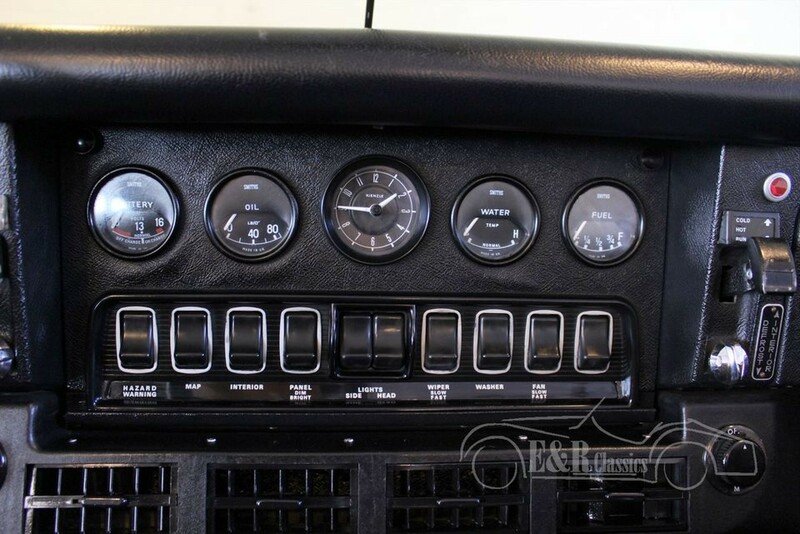 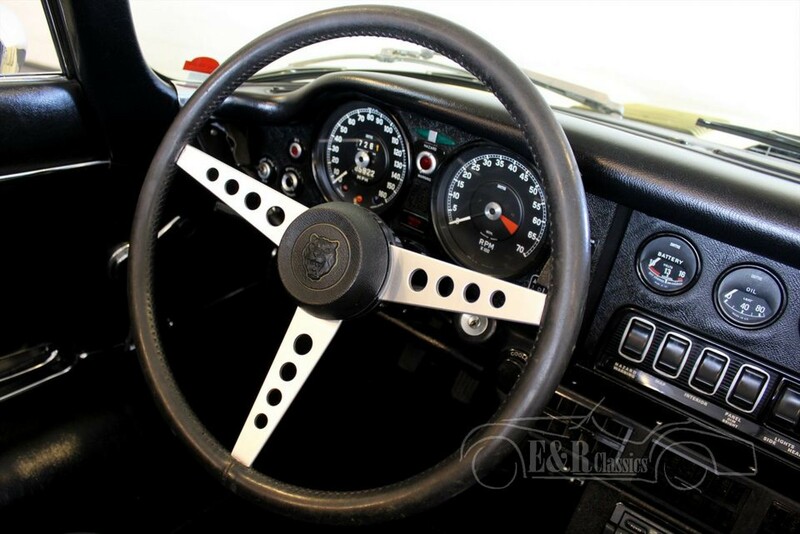 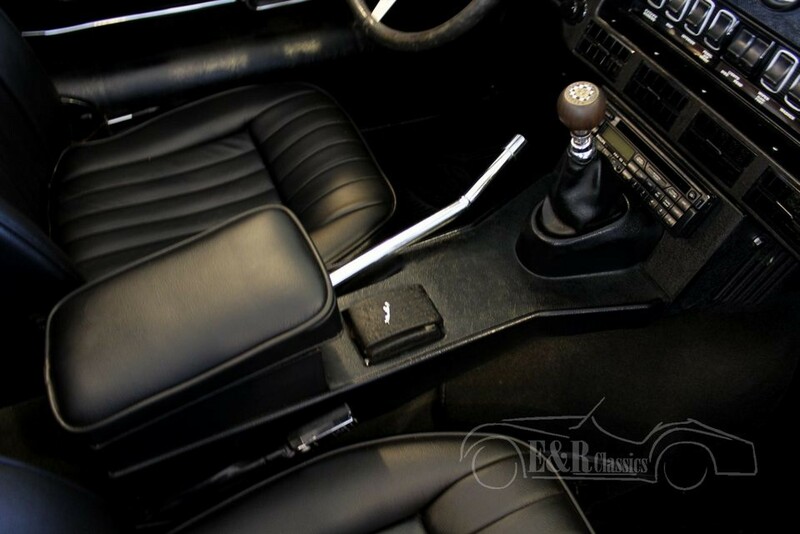 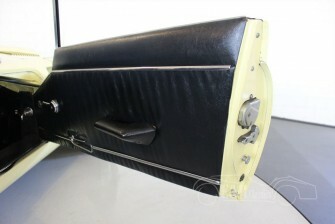 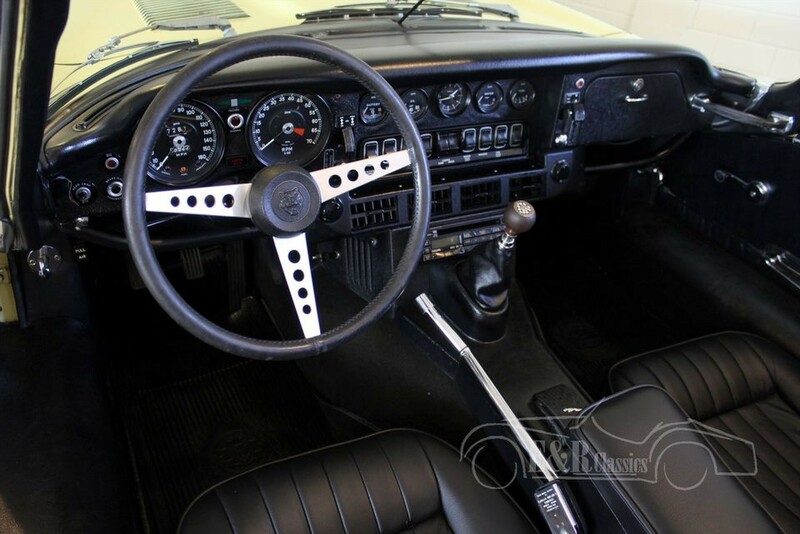 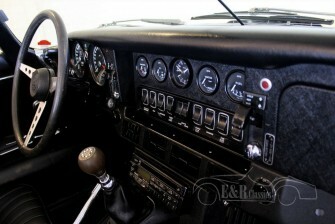 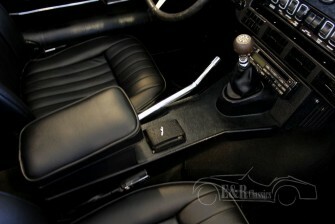 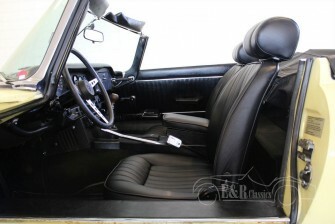 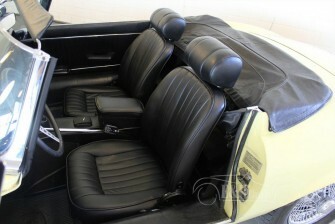 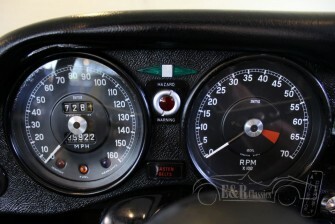 The interior has black leather upholstery and the original dashboard. The colour combination is as originally delivered and this shows on the certificate. 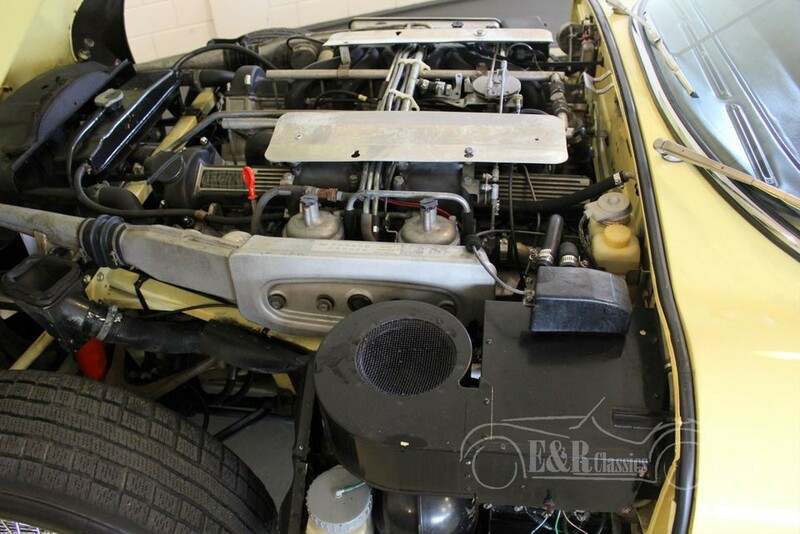 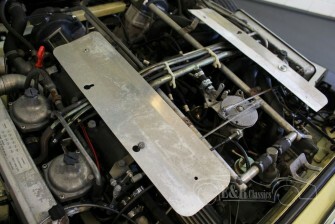 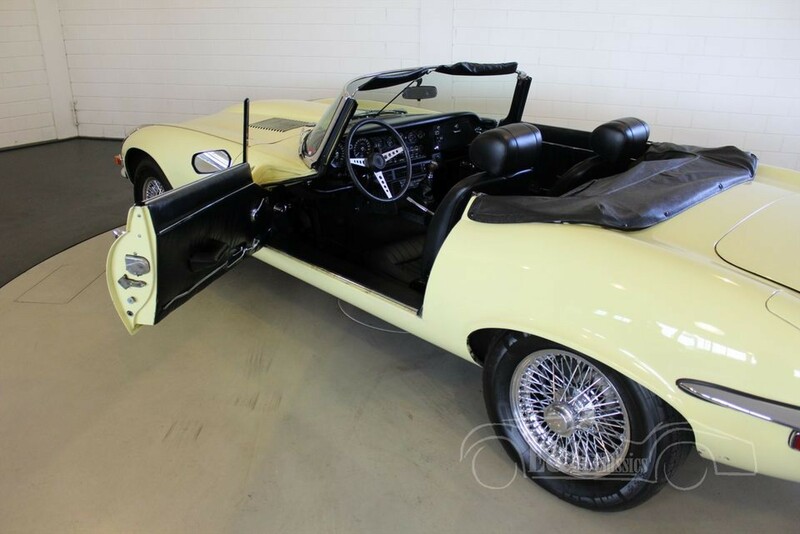 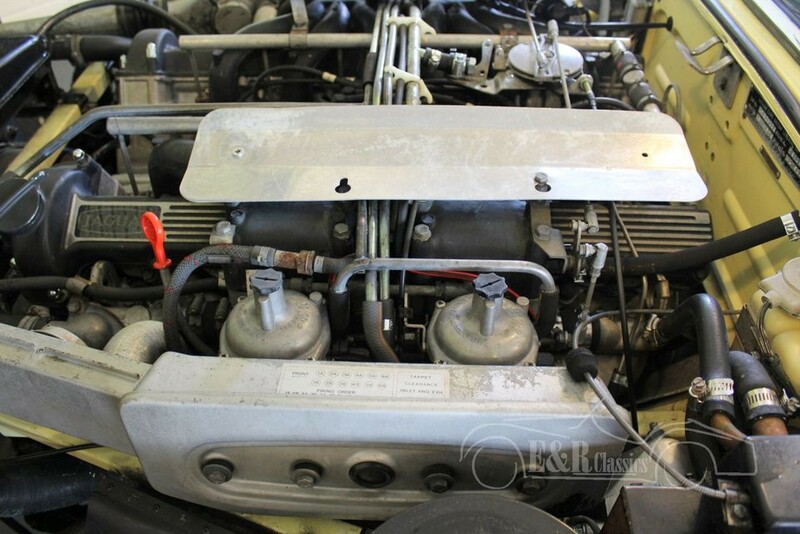 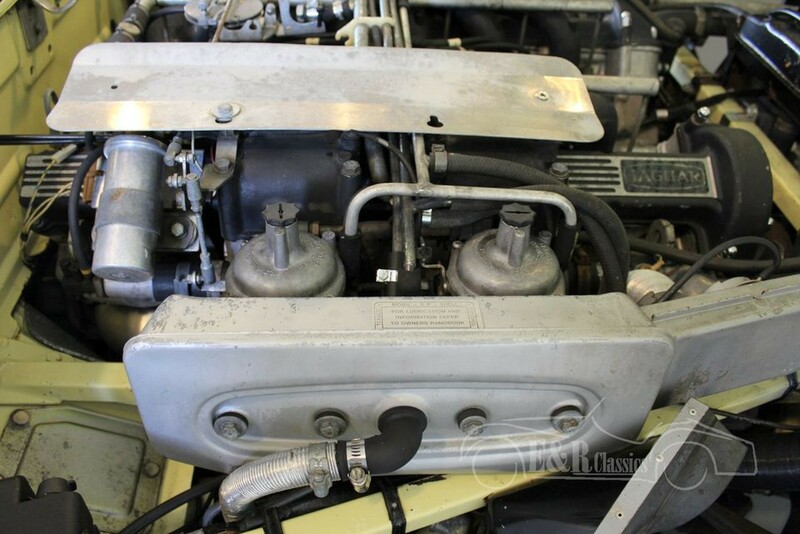 This Jaguar drives and shifts gear perfect and has the V12 matching numbers engine. 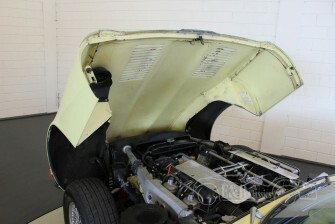 Heritage certificate is present with the car. 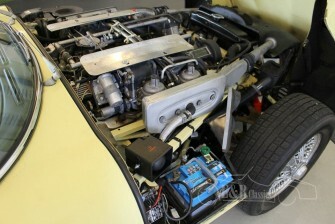 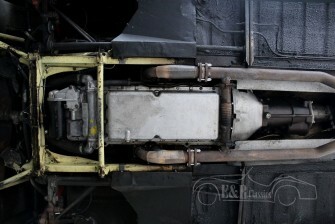 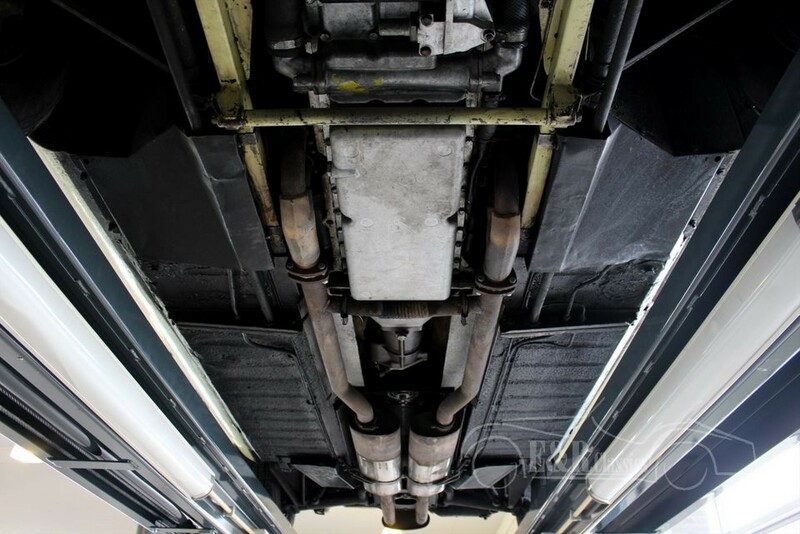 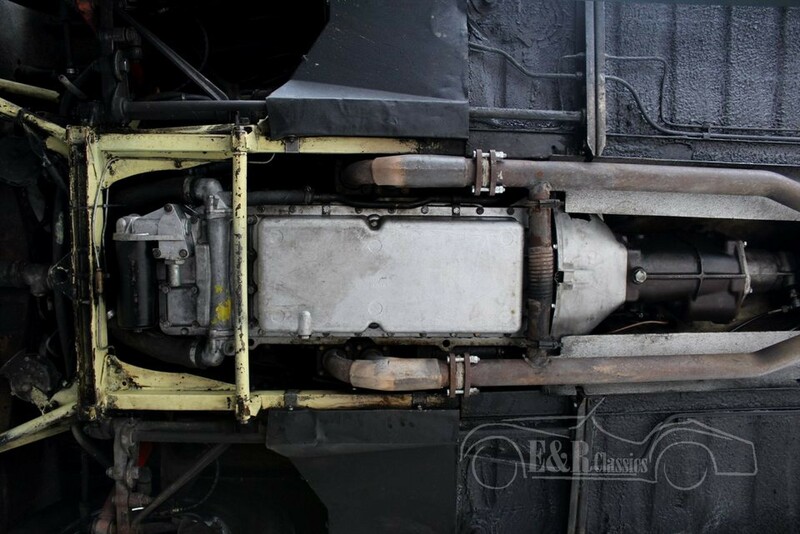 The V12 engine produces the typical Jaguar sound. So, a perfect driving Jaguar E-Type Series 3 Roadster.